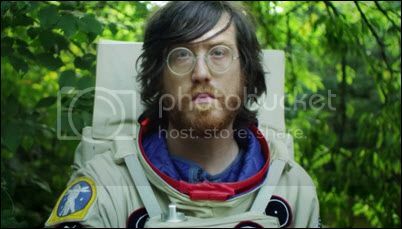 OKKERVIL RIVER shares a video for "The Industry." RYAN ADAMS played the Newport Folk Festival, including Appalachian-tinged renditions of Adams' songs — plus a couple metal covers. ADAM REMNANT advance streams his debut solo EP, When I Was A Boy. THE CHESTERFIELD KINGS cover the Moving Sidewalks' "99th Floor" (introed by Martha Quinn) and psych up even more on "Sunrise (Turn On)" for Twofer Tuesday. UNCLE TUPELO: Pitchfork claims the band foretold our current politics. On Twitter, Jeff Tweedy disagrees. DOUG GILLARD rejoins Guided by Voices and starts another new bad with Robert Pollard. KLAUS VOORMAN tells the story behind the psychedelic cover of the Beatles' Revolver LP. PUNK IN PLASTICENE: 40 years of music history – in pictures and poetry. LINDSAY LOHAN: Cops were called in as the actress suffered a meltdown on the balcony of her Knightsbridge apartment with boyfriend Egor Tarabasov. JENNIFER ANISTON held back tears while talking to young fans about self-doubt and bullying. JUSTIN TIMBERLAKE got slapped by a golf tournament spectator. SHERLOCK drops a First Look at Season Four. THE LEGO BATMAN MOVIE shares its Comic-Con trailer. MARNI NIXON, the American cinema’s most unsung singer, died on Sunday in Manhattan. She was 86. IRAQ: A family including a two-year-old girl have been burned alive after they tried to escape from from ISIS savages in Rashad village, southwest of Kirkuk in the north of the country. SYRIA: Government air raids struck at least five medical facilities in the northern province of Aleppo, where violence has intensified in recent weeks amid a siege by government forces, Syrian opposition activists said Sunday. 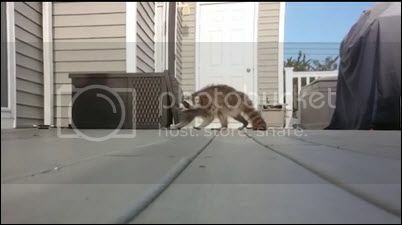 MAN vs RACCOON: Who you got? A COLORADO BEAR imitates Winne-the-Pooh. A SALTWATER CROCODILE turns up in an Aussie bathroom. 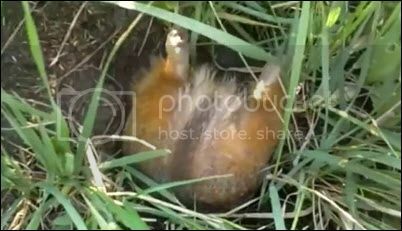 RATS have been targeted for total extinction in New Zealand. JON PRATT: Pate's frontman drops "Emily's Song for Aging Punk Rockers," which you can read about at his website. VIOLENT FEMMES played the hits at the Newport Folk Festival. ST. PAUL & THE BROKEN BONES played the Newport Folk Festival. ROBERT ELLIS stopped by World Cafe for a chat and mini-set. HAIRCUT 100: "Love Plus One." CASE/LANG/VEIRS are profiled by the Boston Globe. TANYA DONNELLY talks to PopMatters about her solo work and the Belly reunion. PAUL McCARTNEY gets a revised bigraphy from Philip Norman. 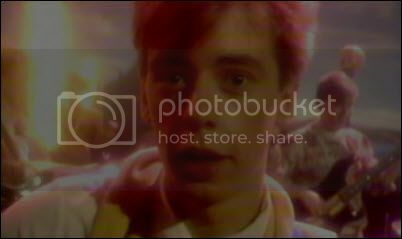 ORANGE JUICE/EDWARD COLLINS: Ten of His Best. 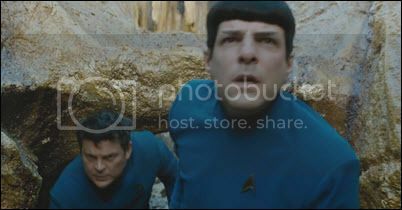 WEEKEND BOX OFFICE: Star Trek Beyond tops the chart with 59.6MM against a 185MM production budget, which means it will have to do big biz in overseas markets. The rebooted franchise has been improving overseas, so it could happen, but it easily fall short (as Into Darkness did, albeit on a larger budget).The prior two installments in this reboot opened to 75.2MM and 70.2MM, respectively (seems bad, but many sequels have dropped off worse this year). Paramount is comparing this to the last Mission Impossible, but that franchise has had a much bigger foreign multiplier than Trek. The Secret Life of Pets places with 29.3MM and a 260.7MM domestic total against a 75MM production budget. The Ghostbusters reboot shows with 21.6MM and 86.9MM total against a 144MM budget; again, overseasmarkets will be needed to put this in profit, and China may not show it. Merch sales will help some. Lights Out debuted in the fourth slot with 21.6MM against a mere 4.9MM budget, due to a surprising number of females (54 percent). The debut of Ice Age: Collision Course rounds out the Top Five with 21MM against a 105MM budget, which smells like a flop here, but may be saved abroad, if history is a guide. JUSTICE LEAGUE reelased first-look footage at Comic-Con. May make Ezra Miller (Barry Allen) a star. WONDER WOMAN shares a Comic-Con trailer. DOCTOR STRANGE: The Sorcerer Supreme drops a second trailer. KING ARTHUR: LEGEND OF THE SWORD, directed by Guy Ritchie, drops a trailer for Comic-Con. KONG: SKULL ISLAND shares a trailer. Star Tomm Hiddleston is profiled by People. FANTASTIC BEASTS AND WHERE TO FIND THEM: The Harry Potter spinoff has a Comic-Con trailer. SUICIDE SQUAD gets a soundtrack trailer for Comic-Con. LIZZY CAPLAN and her boyfriend Tom Riley are engaged. FRANCE: Terrorist truck driver Mohamed Lahouaiej Bouhlel had been planning the Nice attack for months apparently and had at least five accomplices. The suspected accomplices were four men and one woman and are in custody in Nice. GERMANY: The gunman who killed nine people in a rampage in Munich on Friday was obsessed with mass shootings and appeared to have planned the attack for a year. Police said Saturday that the attacker was a mentally troubled individual who had extensively researched rampage killings, and had no apparent links to terror groups and no political motive. AFGHANISTAN: At least 80 people have been killed in two suicide bombings at a march in the Afghan capital Kabul, officials say. 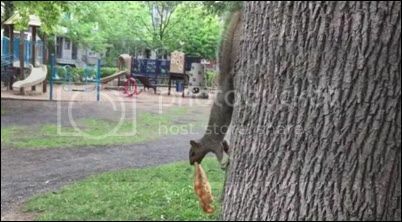 THE SQUIRREL THREAT: A militant rodent steals from a one-legged seagull. SEAGULLS get drunk on Flying Ant Day. 200-lb tranked in Cutler Bay, FL. WHO YOU GONNA CALL? Mysterious green slime bubbles up from sewers in Utah town. 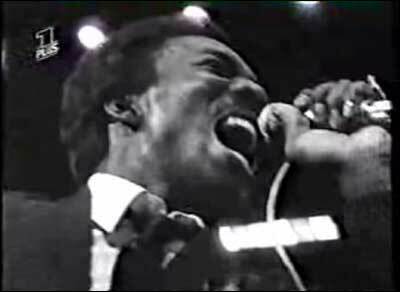 ...with the wicked, wicked WILSON PICKETT, live from Germany, circa 1968. This disappeared from the Tube, but I've managed to find almost all of it reposted there or elsewhere. His band warms up the crowd with the instrumental "Soulfinger," but Pickett electrifies from the moment he enters for "Everybody Needs Somebody" and doesn't let up through "Ninety-Nine and a Half (Won't Do)," "Mustang Sally" and "Stagger Lee." He takes it down just a half-notch for "I'm In Love" before cranking it back into top gear for "Funky Broadway," during which people dancing in front of the stage start turning up o­nstage (And why not? This rawks almost as hard as The Who's cover of "Shakin' All Over"). The tumultuous finale of "Land of 1000 Dances" from amid the crowd remains missing, but this other "Land of 1000 Dances" from 1966 is almost as wild, and in color to boot. Raw and riveting; if this can't put you in a weekend state of mind, probably nothing can. DESCENDENTS advance stream Hypercaffium Spazzinate. LORI McKENNA advance streams The Bird & The Rifle. QUIERO CREEDENCE: Latin Alternative artists (including Los Lobos, Ozomatli, Los Lonely Boys, La Marisoul, Juan Gabriel and more) transform and reimagine CCR's formidable catalog. DENT MAY shares "Face Down In The Gutter Of Your Love." OF MONREAL shares "my fair lady." 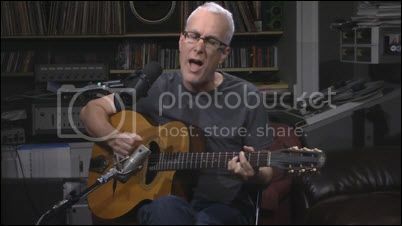 FOUNTAINS OF WAYNE play "It Must Be Summer" unpluggedy. BELLY talks to Drowned In Sound about their return to stage and studio. THE LONG RYDERS are touring for the first time in 30 years. THE TRAGICALLY HIP is profiled by Rolling Stone as they face their tragic fnal tour. GREIL MARCUS, on the late-capitalist horror of James Bond songs, the indefatigable Kathleen Hanna, a farmers’ market atrocity, and more. NOW SHOWING: This weekend's wide releases include Ice Age: Collision Course, which is currently scoring 10 percent on the ol' Tomatometer; Star Trek Beyond, which is scoring 89 percent; and Lights Out, scoring 81 percent. JOHNNY DEPP wants AMBER HEARD to keep certain details of their divorce proceedings confidential to protect their privacy. TAYLOR SWIFT is not waving the white flag in her war with Kanye West over the secret audio recording. SHANNEN DOHERTY shaved her head on Wednesday, July 20, amid her ongoing battle with breast cancer. DIVERGENT: The franchise may end on the small screen, which was news to star Shailene Woodley. ROGER AILES resigned as the chairman of Fox News. 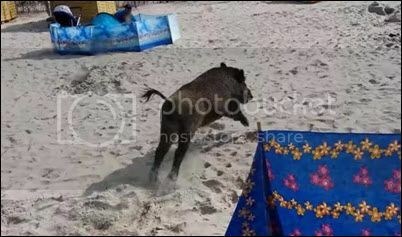 A WILD BOAR ran out of Baltic Sea to terrorize sunbathers at a Polish beach. A LEMUR on the loose attacked a Miami woman outside her home. BUBBA THE DOG kicks heroin and meth. A PSYCHO SWAN has caused thousands of pounds worth of damage and is bullying other birds on a lake in Suffolk. Sorry, had to take a personal day. I'll be back tomorrow, barring the unforeseen. 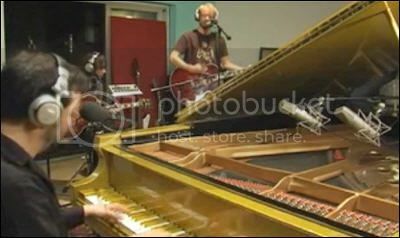 CAVEMAN stopped by WFUV Live for a chat and mini-set. GLEN HANSARD also stopped by WFUV Live for a chat and mini-set. ALL SONGS CONSIDERED previews the Newport Folk Festival. SLEIGH BELLS share “Hyper Dark”. 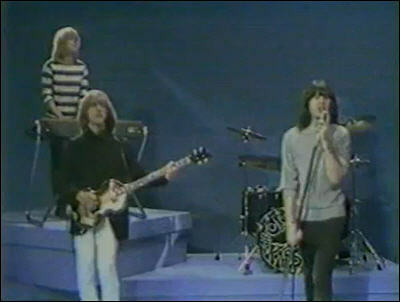 BLONDIE: "Heart of Glass," filmed at Studio 54 in New York City. THE LEMON TWIGS are a new band profiled by The Guardian, with a couple of embedded tracks worth checking out. THE MELVINS talk to Paste about Basses Loaded, Three Men and a Baby and more. THE EQUALS, an interracial British band in the 60s - perhaps best (un)known as the originators of "Police on My Back," later made famous by The Clash - is essayed by Pitchfork. 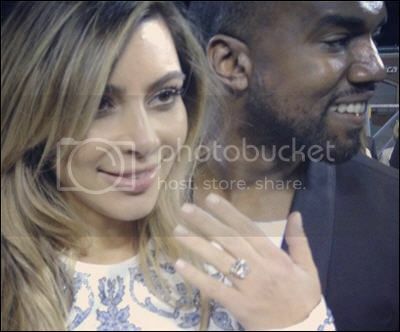 KIM KARDASHIAN & KANYE WEST will not face criminal prosecution for the secret recording in which Taylor Swift hears all about the song “Famous” because she knew others were listening. LADY GAGA and her fiance, Taylor Kinney, have ended their 5 year relationship. GARRY MARSHALL, creator of the 1970s sitcoms Happy Days, The Odd Couple, Laverne and Shirley and Mork and Mindy and director of Pretty Woman, and The Princess Diaries, died Tuesday. He was 81. I'll fondly remember him as the casino boss in Lost in America. PIPPA MIDDLETON and hedge fund manager James Matthews have confirmed they are engaged to be married. TOM SIZEMORE has been arrested for allegedly beating up his girlfriend. ROGER AILES, Fox News Chairman, is negotiating his exit from the top-rated cable network amid a lawsuit and internal investigation of alleged sexual harrassment. TURKEY: A column in a major Turkish daily claims the United States planned last week's failed coup and tried to kill Turkish President Recep Tayyip Erdogan. THE SQUIRREL THREAT: Okay, this one's not that threatening. A DOG held up a Japanese commuter rail line. CEREBUS, a white terrier, rode a garbage truck 180 miles from the Livingston Transfer Station to the Great Falls Landfill in Montana. DUCKLINGS learn abstract reasoning within hours of hatching.